What better way to say a special thank you than with a personalised gift complete with sweet treats? 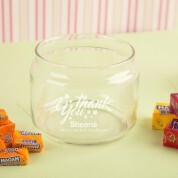 This engraved sweetie jar features a pretty star design. You can include a name and short personal message also. We leave you to decide what sweeties to fill the jar with. 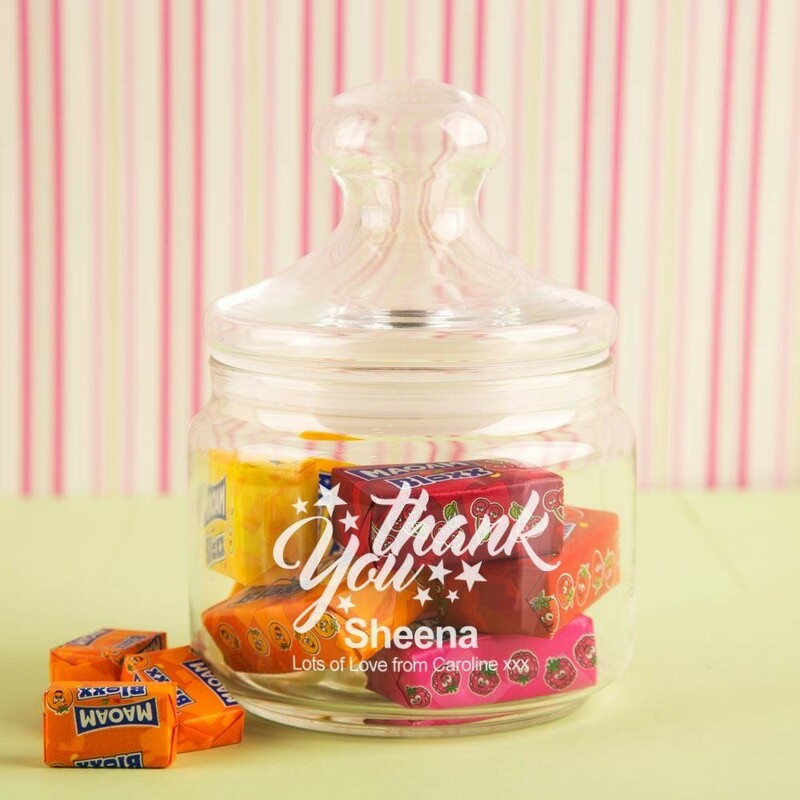 The recipient will love to show this vintage-style glass jar off for years to come, and with its handy lid and generous size it can be used to store almost anything! All designs, personalisation and engraving are done in house by our production team to ensure the best quality is delivered to the customer.